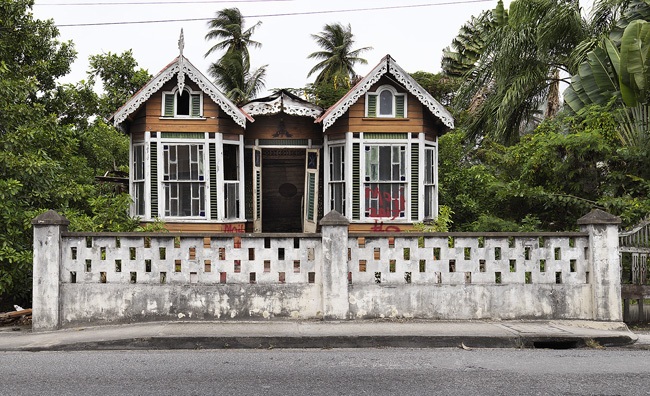 The Trinidad House is listed in the book, The Treasures Of Barbados by Henry Fraser, and is known for the richly decorated features reminiscent of colonial architecture of Trinidad and Tobago. 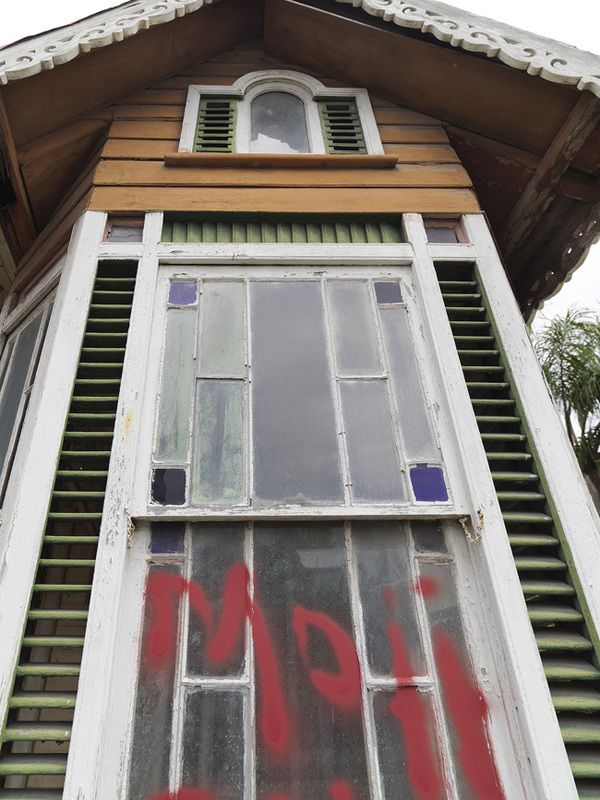 The house was intact in 1990 when the book was published but was listed to be in need of reconstruction. 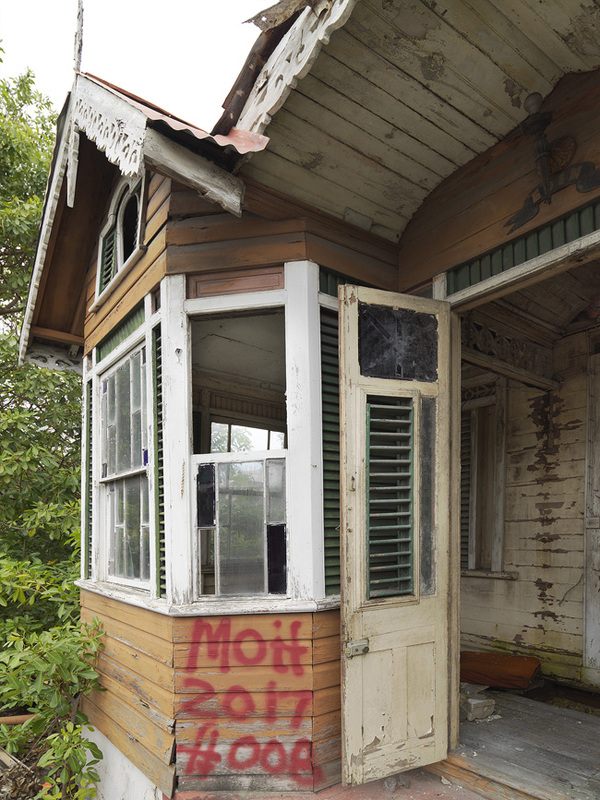 Regrettably this was not done and the house is now derelict. 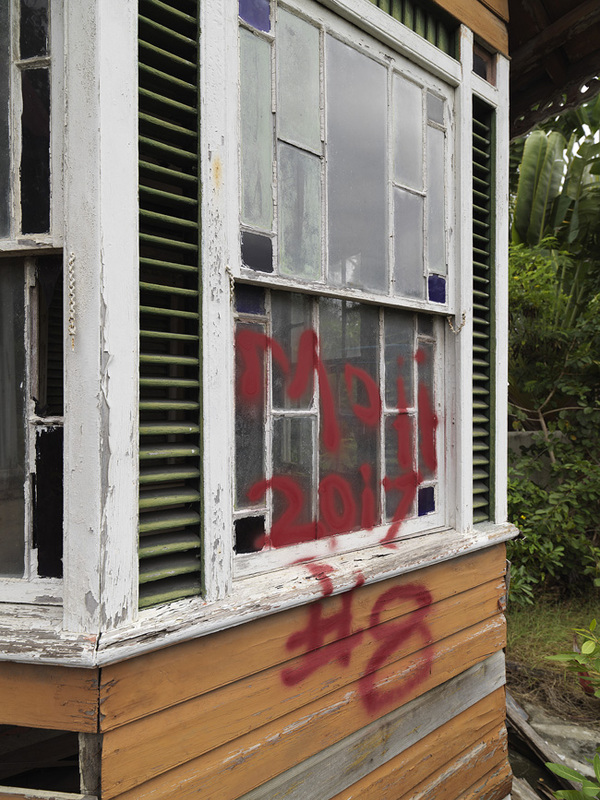 Hopefully someone has recorded the house before it was allowed to deteriorate. While vacationing in Barbados I took a stroll along the Worthing Main Road to the area known as the Stream. 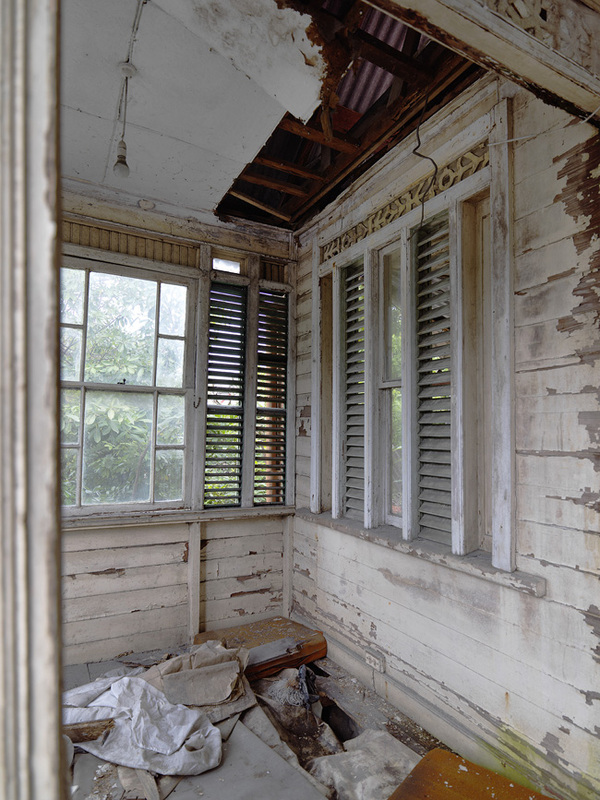 Although the weather was not good I managed to make a few photographs of the Trinidad House that was in a derelict condition, about to collapse. 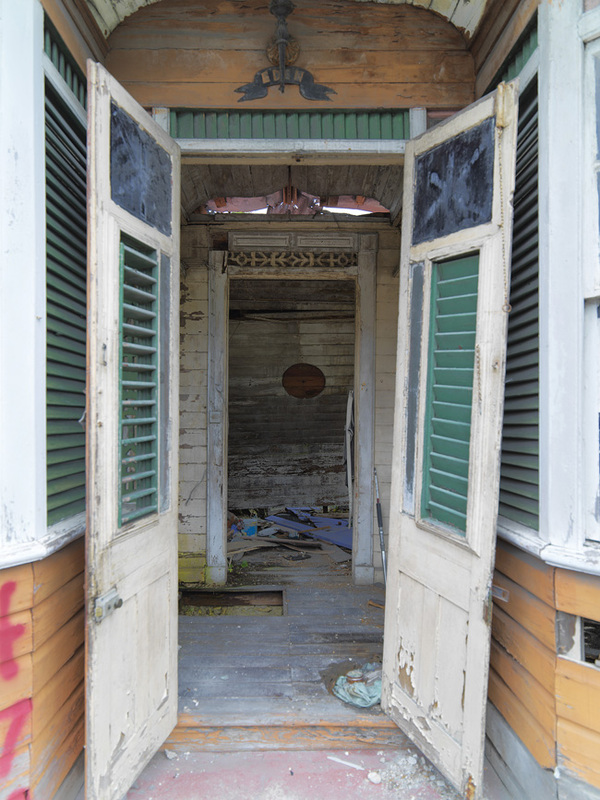 I could not really go inside as the wooden floors had rotted and it was quite unsafe. Still the few images I made are an important record of a heritage building that is well known among the architectural treasures in Barbados. I imagine the house will not be standing for much longer.